As you age, your sleep patterns also change – you tend to get sleepy earlier, and you also wake up earlier than the usual. Although these changes are considered normal part of aging, insomnia and disturbed sleep are not. The right amount of sleep every night is essential to our health. In fact, studies show a link between either too much or too little sleep and dementia risk. 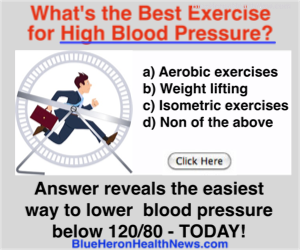 Even mild sleep deprivation will raise your blood pressure, the silent killer. As mentioned, too much sleep can also be a problem. My personal “sweet spot” is about 7.5 hours per night, but your best sleep duration may differ from mine. Most sleep disturbances can be overcome with these 9 helpful tips. 1. Establish a bed-time routine. Make sure that regular exercise is still part of your daily routine because a lack thereof has negative effects to the quality of your sleep. Studies show that exercise increases time spent in “deep sleep,” thus making the person more well-rested in the morning. But keep in mind that too much exercise can cause problems too, especially when you do your workouts close to your bed time. Relaxation techniques such as mediation, yoga, deep breathing exercises, and visualization before bedtime are great ways to calm the mind and induce sleep. 4. Limit your caffeine intake. I don’t think this needs a lot of discussion. We all know what caffeine can do… so try to avoid it after mid-afternoon if you don’t want to have trouble sleeping at night. Personally, I have to quit the coffee after noon. Your “quit time” might be different, but there is an easy way to find it: Simply cut out the last cup of coffee in the day, and see if that helps. If not, cut the new last coffee time, until you find the one that makes the difference. If you are like me (I really like the taste of coffee), just switch to a high-quality decaf after your “quit time.” I go with Swiss water-process organic decaf, because the stuff that is used by most outfits to cheaply decaffeinate coffee gives me really bad headaches. 5. Use the help of sleep gadgets. Although there are natural sleeping aids that you can take to induce zzz’s, there are also a number of electronic devices that can help you get a better night’s sleep. 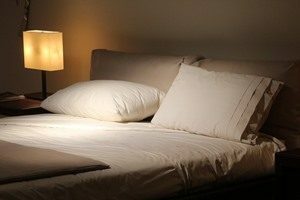 From sunset-simulating bedside lamp to smart pillows with built-in sleep motion detector, here are 4 gadgets to help you Get a Better Night’s Sleep. The use of essential oils can definitely improve one’s cognitive, psychological and physical well-being. One of its many uses is to induce sleep and reduce anxiety. So if you have trouble sleeping at night, get yourself the following essential oils: Lavender, Frankincense, Rose and Orange. Use of essential oils can be incorporated into your bed-time ritual (see point#1 above) for even better effect. See the book shown on the right for more essential oils suggestions. 7. Reduce blue light exposure in the evening. If you’re like me who can’t sleep without the TV on, then it’s probably one of the reasons why our sleep is disrupted at night. Studies show that blue light, which is emitted in large amounts from electronic devices like televisions, computers and smartphones, suppresses the production of melatonin, a hormone produced by our pineal gland that regulates sleep and wakefulness. That being said, try to limit blue light exposure at night time or wear glasses that block blue light when you’re on your phone, laptop or watching TV at bedtime. Another hint: There are free utilities you can install on your laptop that will turn down the blue at a scheduled time. I have friends who swear by black-out curtains, and even one that can’t get good night’s sleep on a cruise unless he’s in an inside cabin with no windows. Although a sleep mask might not be quite as good as a complete set of black-out curtains, it’s a lot cheaper, and is especially good for those folks who use a CPAP (in addition to blocking light, it keeps out stray air leaks which can irritate your eyes). 9. Create a restful environment. Last but most importantly, your bedroom should be conducive to sleep, so make it as cozy as possible. Remove distractions, get black out shades (or a sleep mask, per the previous point) to keep the room cool and dark and buy a good quality mattress to keep you comfy while you sleep. My personal favorite is an air mattress, but I found that to be enough hassle (leaks, mostly, which tend to happen at the absolutely most inconvenient times) that I have settled for what I consider to be a really close 2nd, a 14-inch memory-foam mattress, which is surprisingly affordable. The only real down-side to my memory-foam mattress is that I have gotten really spoiled, and when traveling, I have trouble finding a hotel with a bed that is anywhere near as comfortable. OTOH, one of the true joys of getting back home from a trip is getting to sleep in my own bed!